The Honolulu City Council has long had a tense relationship with Mayor Kirk Caldwell. Sometimes his supporters have outnumbered his antagonists on the council and sometimes not. The latest pivot in the balance of power began in March, when Councilwoman Kymberly Pine helped trigger a coup. Formerly in Caldwell’s camp, the Leeward Coast councilwoman restored majority control of Oahu’s legislative branch to his critics. After a stint as council chairman that lasted just over a year, Ron Menor lost the position to longtime Caldwell opponent Ernie Martin, who has held the post for most of his two terms in office. Now, with Martin term-limited out and three other council members up for re-election this year, voters will determine which council faction will hold sway next. The results will affect Caldwell’s ability to execute his agenda during his remaining two years as mayor. In the past, that agenda has included the mayor’s proposals for tax and fee increases. The council elections could affect whether residents have to start paying for trash collection, currently a free service. 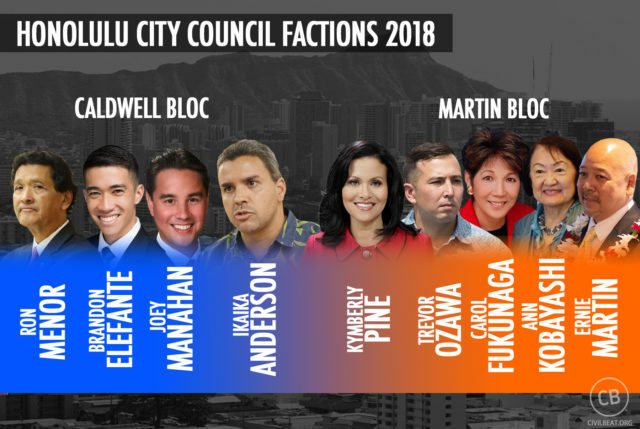 In 2017, Martin’s then-minority bloc of council members, including Carol Fukunaga, Ann Kobayashi and Trevor Ozawa, voted against a slew of those tax and fee increases. The council ultimately passed the vehicle weight tax increase and raised parking meter fees on 5-4 votes, but rejected other revenue-raising measures. On some issues, like funding the city’s $9 billion rail project, the factions have spent hours debating the details but ultimately agreed to support Caldwell’s plans. This year, 14 candidates are running for four council posts. Four are vying to fill Martin’s spot representing District 2 covering the North Shore, and he appears to have primed Heidi Tsuneyoshi as his preferred successor. Tsuneyoshi worked for eight years in Martin’s office, first as community liaison and then as senior advisor. But Robert “Bobby” Bunda stands in her way. With almost three decades in the Legislature under his belt, Bunda has name recognition. The two are almost dead-even when it comes to raising money: Bunda’s campaign has $136,500 on hand and Tsuneyoshi’s has $139,000. Bunda raised $82,800 in the last six months of last year to Tsuneyoshi’s $72,700, according to the most recently available data from the Campaign Spending Commission. The public won’t know how much they or other council candidates raised during the first half of this year until after the July 12 deadline for filing new campaign spending reports. It’s hard to say where Bunda’s allegiances will lie if elected. He’s made campaign contributions in the past to Caldwell, Martin and Menor. 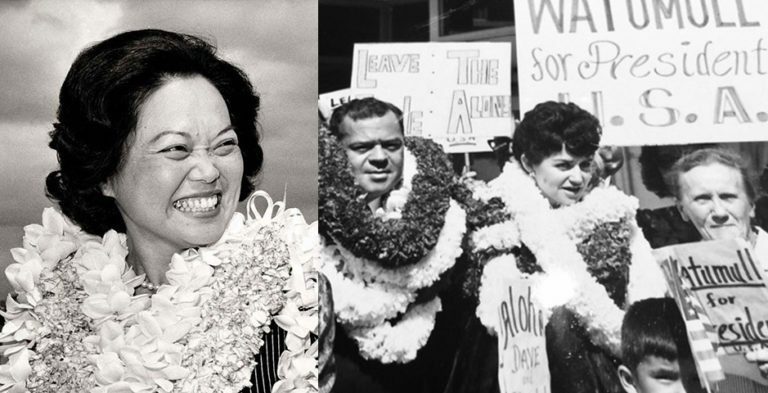 Community advocate Choon James and Kahuku farmer Dave Burlew will also appear on the District 2 primary ballot. Mayor Kirk Caldwell and City Council Chair Ron Menor share a lighter moment during the special legislataive session in 2017, when state lawmakers debated a $2.4 billion bailout for the rail project. 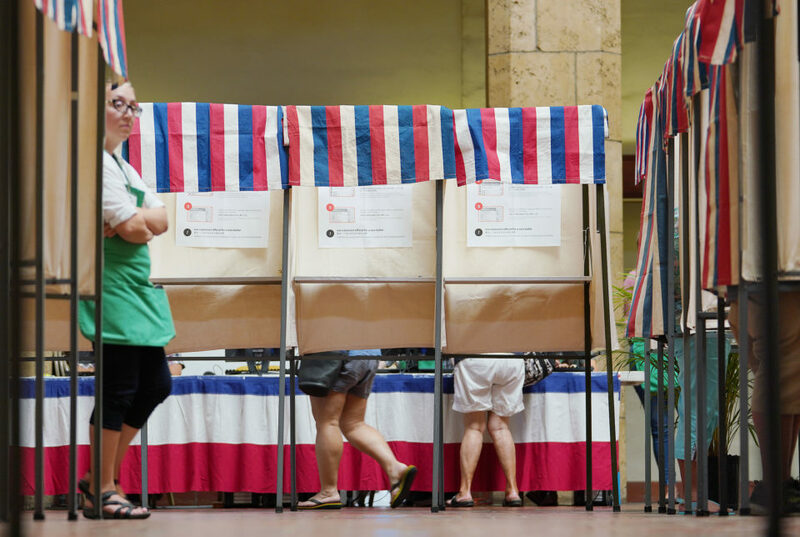 If incumbent Brandon Elefante retains his District 8 spot representing Waipahu, Pearl City and neighboring communities against political newcomer Kelly Kitashima, at least one pro-Caldwell seat will be secured. But council members Carol Fukunaga and Trevor Ozawa, reliable Martin allies, are also up for re-election. Among Fukunaga’s opponents in District 6 is a strong proponent of the rail project, Tyler Dos Santos-Tam. 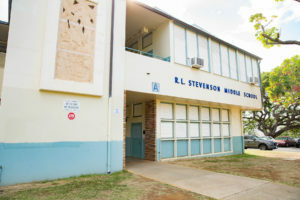 The Hawaii Construction Alliance executive director was appointed by Caldwell in 2013 to serve on the Neighborhood Commission. Dos Santos-Tam contributed $50 to Caldwell ally Elefante last year. Other District 6 candidates are Ikaika Hussey, a Bernie Sanders-style Democrat with backing of the hotel workers union Local 5, and city planner Zack Stoddard. 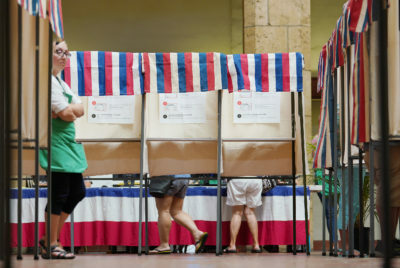 Perhaps the most contentious race will be the east Honolulu showdown between Ozawa, a longtime Caldwell critic, and former state Rep. Tommy Waters. Waters lost to Ozawa by 41 votes in 2014 despite endorsements from unions and Caldwell. Hawaii Kai Neighborhood Board Chair Natalie Iwasa and newcomer Ricky Marumoto are also on the District 4 ballot. Disagreements between the two groups in the nine-member City Council have often been shrill but not always consequential on many hot-button issues, including rail, homelessness and affordable housing. At the behest of developers, the council watered down Caldwell’s islandwide affordable housing mandate and then unanimously passed it this year (Councilman Ikaika Anderson, generally a Caldwell supporter, was absent for the final vote). Bills to expand the city’s ban on sitting and lying on sidewalks, an attempt to remove homeless people from tourist and business areas, have typically moved through the council on 8-1 votes, with Elefante offering the only opposition. After regaining the council chairmanship this year, Martin tapped Ozawa to serve as Budget Committee chair. Ozawa promised he would be no rubber stamp for the mayor and initially proposed a slew of cuts to Caldwell’s budget. But most of that funding was ultimately restored after hours of contentious hearings. Council members Ann Kobayashi and Trevor Ozawa were two of the opponents of Caldwell’s proposed tax and fee increases last year. On other issues, however, the power struggle clearly matters. The election results could impact city streetscapes, park renovations and the fate of tax and fee increases. Last year after considering a number of tax and fee increases proposed by Caldwell, the council voted 5-4 along faction lines to increase the county’s vehicle weight tax and parking meter fees. Fukunaga, Kobayashi, Martin and Ozawa all voted against the tax increases even at first reading, a juncture when even the most contentious bills typically pass unanimously so they can be further considered. Then-Budget Committee Chair Joey Manahan said the vehicle weight tax and parking meter fee increases balanced the budget, allowing him to kill a proposed property tax increase for hotels and another measure to charge Oahu residents a $10 monthly fee for trash collection. This year, Ozawa swiftly killed Caldwell’s proposed trash collection fee when it arrived at his committee after first reading. The city’s budget department projected the fee would have generated more than $5.8 million in fiscal year 2019. Caldwell announced last week that he wants the city to issue $44 million in bonds this year to cover administrative costs of the Honolulu Authority for Rapid Transportation. If the council approves the bonds, taxpayers will spend the next few years paying the money off. Starting in 2019, the council will be asked to divert millions more in cash over the next nine years for HART. It’ll be up to new council leadership to find room in the city’s operating budget for the first time ever to fund rail. 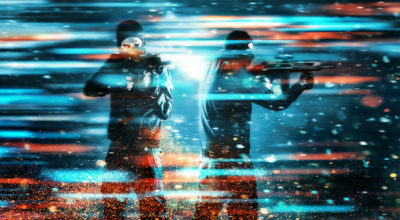 Unless creative solutions are conjured, that will include cutting services or generating more revenue. Caldwell declined to comment about the election through a spokesman. Rail isn’t Caldwell’s only expensive public works project, nor is it the only one subject to nitpicking from Martin’s bloc. Last year the council approved the mayor’s request for $20 million to renovate Ala Moana Regional Park, vastly more money than any other park on the island received that year. 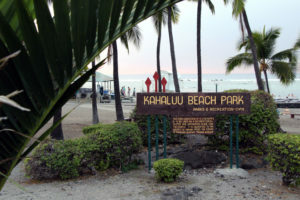 In January, a jeering crowd met the mayor and city planners in the park’s McCoy Pavilion Auditorium as the officials presented their idea to widen a sidewalk into a park promenade, a change that would remove parking stalls, KITV reported. This year, when the administration came back asking for $8 million more for the park, the council slipped in a proviso that prohibits the administration from spending the money to widen the sidewalk and remove the coveted parking stalls. 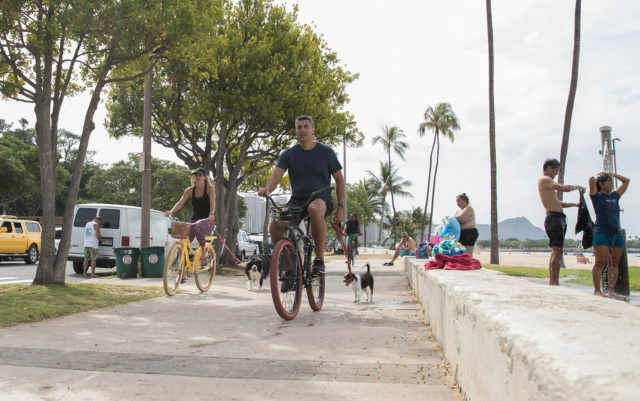 The Caldwell administration proposed extending a sidewalk at Ala Moana Regional Park to create a promenade. 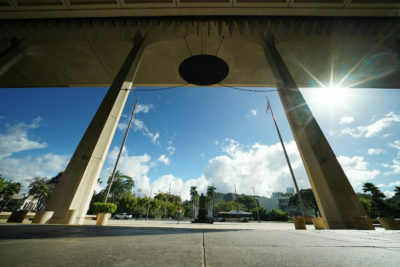 “Many of my constituents have said that rather than doing a lot of fancy things that we may not be able to really afford, they want to see transit done well and within budget,” Fukunaga told Civil Beat when asked about Ala Moana Regional Park, as well as Caldwell-supported upgrades for Thomas Square and the Neil S. Blaisdell Center. “They want to see places like Ala Moana repaired, they want to have clean bathrooms. They said fix the potholes on the road, cut the grass, make sure the sidewalks are safe, but they’re willing to forgo major new improvements if you can get the basics done,” Fukunaga said. Meanwhile bike lanes, curb extensions and other traffic projects pushed by Caldwell and intended to make busy city corridors safer for pedestrians and bicyclists have triggered complaint calls to council members’ offices. Tensions bubbled up between council members and administration officials over these projects during budget committee hearings in April. 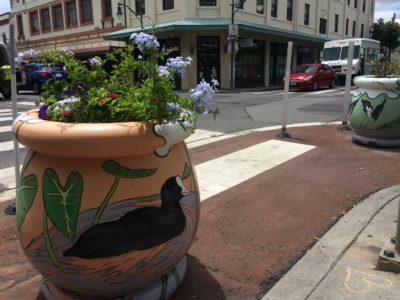 The curb extensions in front of The Arts at Marks Garage in Chinatown feature large flower planters painted with images of indigenous flora and fauna. Fukunaga, Kobayashi and Pine joined Ozawa in the chorus of criticism ignited over a $1 million appropriation to Frysztacki’s department. Ozawa eventually restored the funding, telling Civil Beat that he supports projects to make streetscapes more bike and pedestrian friendly, but wants the administration to pay more attention to community concerns. 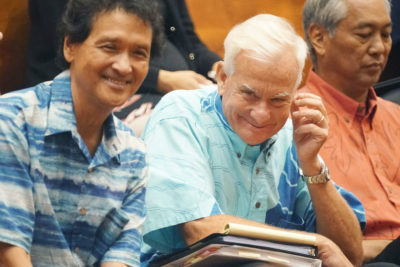 The discussions marked a sharp contrast to the previous year, when Ozawa’s $41 million in proposed cuts went largely ignored by then-Budget Committee Chair Manahan. 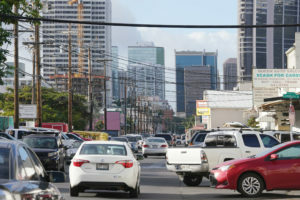 In April Caldwell vetoed Ozawa’s bill that would have allowed left turns at certain intersections along Kapiolani Boulevard during hours when the contraflow lane is in place. The following month Caldwell vetoed Fukunaga’s bill that had the support of Martin’s faction, a measure that would have prohibited curb extensions in Chinatown. Some nonincumbent City Council candidates describe the current council as dysfunctional and the factions as divisive. Political infighting and power plays sometimes determine the fate of proposed legislation, they say, rather than the merits of the bills. “It’s very clear. 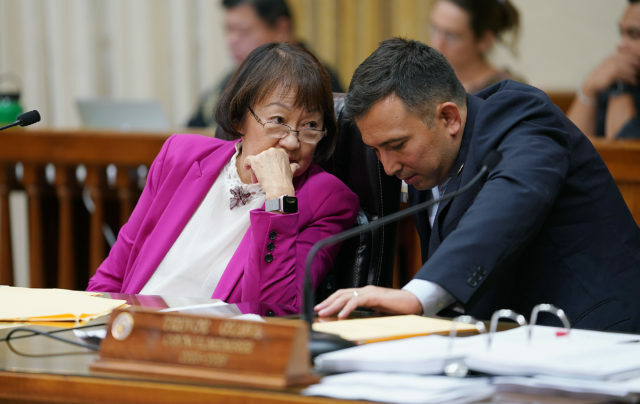 I can sometimes tell right away how a bill is going to be treated just by what committee it’s going through and who’s the chair of the committee and what the issue is,” said Iwasa, who has regularly attended council meetings for more than a decade. 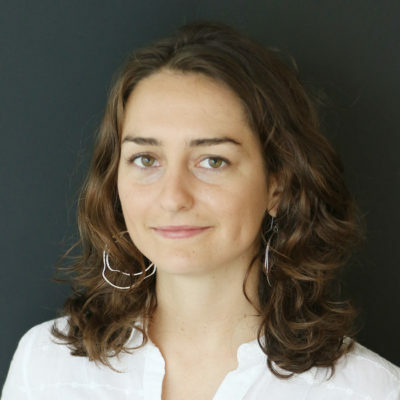 Dos Santos-Tam, a proponent of city efforts to regulate so-called “monster homes,” pointed to Bill 33 as an example of how political friction can prevent proposals from even being discussed. Mayor Kirk Caldwell raises arms in unity with City Council members Brandon Elefante, Ikaika Anderson and Kymberly Pine at his Caldwell headquarters in November 2016 on the night of the mayor’s re-election. Anderson introduced the measure to allow the city to destroy certain oversized homes constructed without proper permits. Martin sent the bill to Pine’s Committee on Zoning and Housing in April after first reading, and despite pages of testimony in support of the measure, Pine hasn’t scheduled it for a vote. 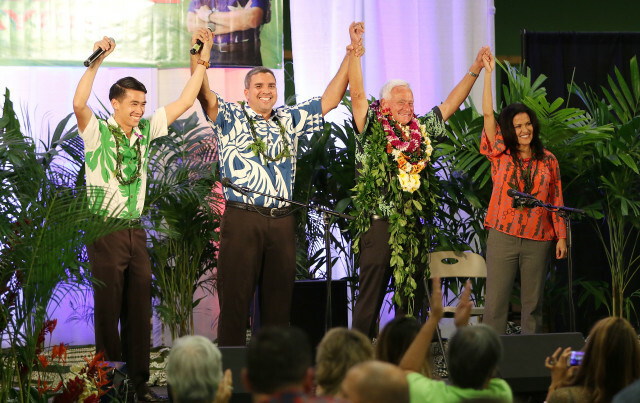 Both Anderson and Pine told the Honolulu Star-Advertiser last year they are interested in running for mayor in 2020. Burlew, one of the four candidates running for Martin’s seat, said a council member’s adversarial relationship with the mayor comes at the expense of constituents. The legislative branch holds the power of the purse, allowing council members to fund projects in their districts. But the executive branch is responsible for actually releasing the money and seeing the projects through. Martin added $4.88 million to fix lights at Waialua District park in 2017 on top of $3 million he added in 2016. The parks department removed lights from the pool and fields two years ago due to rust, leaving athletes and park users frustrated. 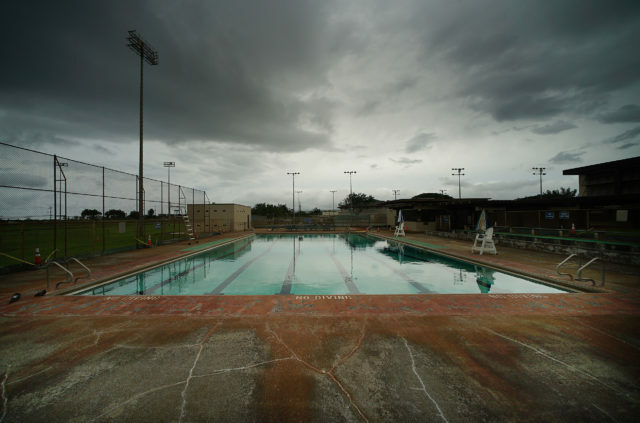 The Waialua District Park swimming pool hasn’t had working light fixtures since 2016. In January, Martin introduced a resolution urging Caldwell’s parks department to speed up the project. So far, the department has made just $100,000 of those funds available, according to a capital budget overview published earlier this year. 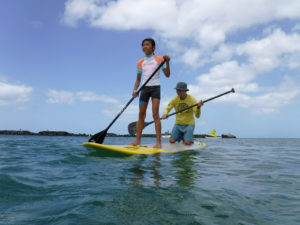 By contrast, the report shows the administration has made $12.7 million available of the $23.3 million appropriated for Ala Moana Regional Park in the last two years. Burlew, a Kahuku farmer running for the first time, said that if elected he would invite Caldwell to pick tomatoes at his farm. What some see as bickering others see as hours-long discussions that are a necessary part of the checks and balances fundamental to American democracy. “If everyone is friendly to the mayor, then why even have a council at that point?” said Marumoto, an assistant manager at Honolulu Country Club running to represent east Honolulu.